The vector stencils library "Frequency distribution charts" contains 2 area chart templates and 2 histogram templates. 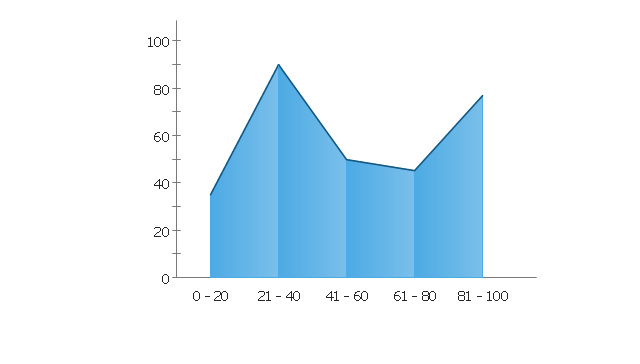 Frequency distribution charts are Live Objects which show the distribution of items within numerical ranges. 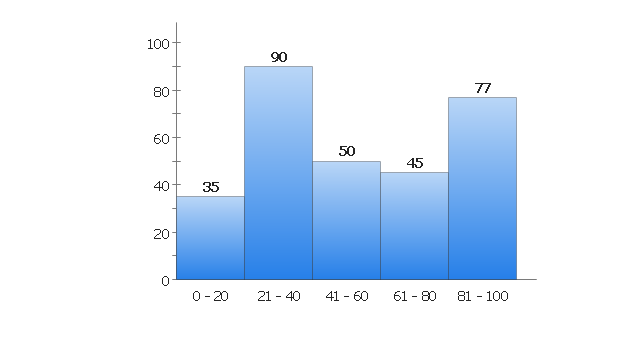 The vector stencils library "Frequency distribution charts" contains 4 Live Objects: two templates of histograms and two templates of area charts. The ConceptDraw Live Objects are ready-to-use templates of charts and visual indicators for dashboard design. 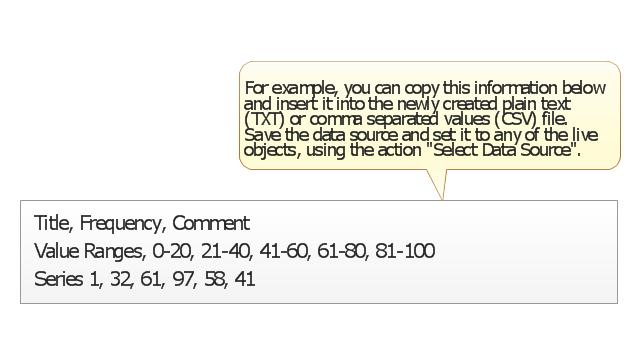 You can set data source file for Each Live Object, and your charts or indicators will represents actual data from the data source files, and change their appearance with changing of the data in source files. 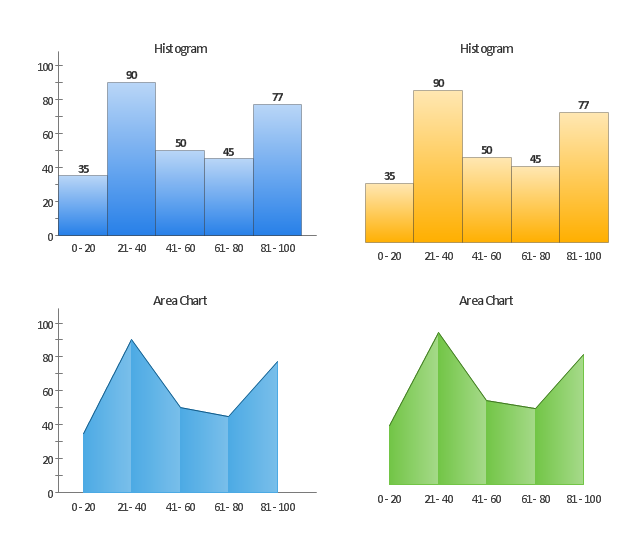 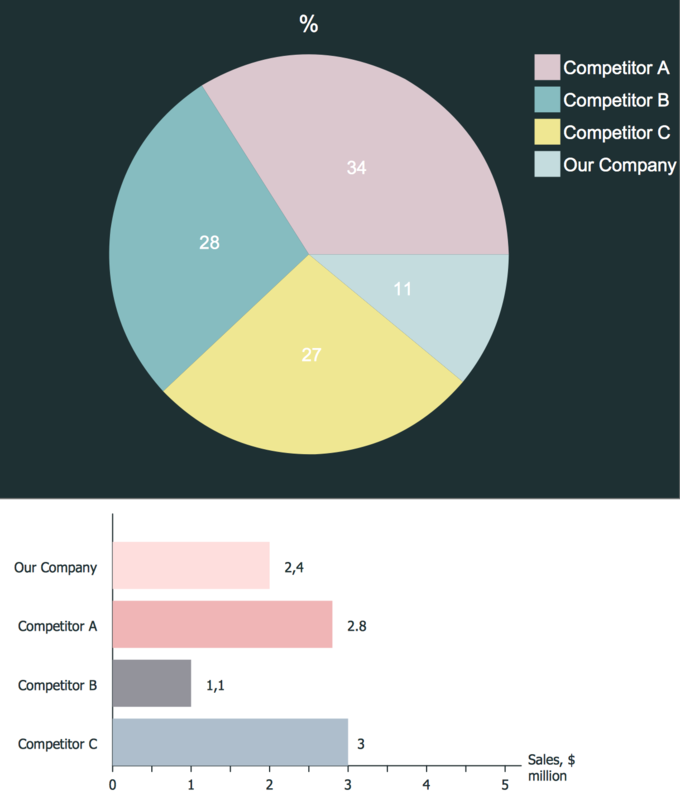 Use the design elements library "Frequency distribution charts" to create your own business visual dashboards using the ConceptDraw PRO diagramming and vector drawing software.